The Eels Family: [News] Jang Keun Suk debuted five years ago as a singer in Japan, to celebrate that will be the release of HISTORY in three sets of DVDs, the trilogy has started! [News] Jang Keun Suk debuted five years ago as a singer in Japan, to celebrate that will be the release of HISTORY in three sets of DVDs, the trilogy has started! This year Jang Keun Suk will celebrate his debut as a singer in Japan with the release of HISTORY DVD on March 18th! This HISTORY DVD has become a trilogy, "JANG KEUN-SUK HISTORY Ⅰ ~ HISTORY OF COLOR ~" includes documentary videos of cover photo - MV shooting, “JANG KEUN-SUK HISTORY Ⅱ ~ HISTORY OF MUSIC ~ includes documentary footage of recording songs from the past, " JANG KEUN-SUK HISTORY Ⅲ ~ MUSIC VIDEO COLLECTION ~ includes a collection of music videos. Further, the DISC2 of HISTORY Ⅰ will include the video "Jang Keun Suk TV" broadcast during the release of Nature Boy, and to DISC2 of HISTORY Ⅱ the live recording of "Nature Boy Birthday Count Down 2013.5.28@Zepp Tokyo". Including valuable footage that captures the real face of Jang Keun Suk will help you to look back on his trajectory up to now. The release of the 3rd album "Monochrome" will be in February 25 and since March 14, begins the nationwide tour "2015 JANG KEUN SUK THE CRI SHOWⅢ", also start performances starting in Osaka Orix Theater. Hall performances nationwide six locations 12 performances and arena performances nationwide, two places 4 performances, here also fun places. 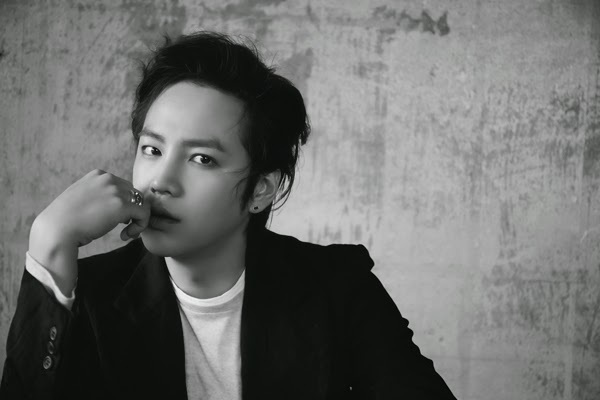 Please pay attention on the activities of Jang Keun Suk on the future. ※ Content might be subject to change.